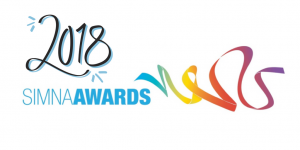 Which 2018 SIMNA Award Should I Apply For? At SIMNA, we want to celebrate the superstars, the collaborators and the change-makers in social impact measurement. 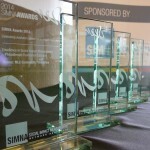 No matter where you are in your social impact measurement journey, there is a SIMNA Award for you! Has your organisation been trying to measure its impact for a few years? Have you, after a journey of discovery, figured out which measurement techniques make sense for your organisation and why? Have you got a data bank that shows what your impact is and how it is changing over time? Are using the results to improve your practice? Then the Excellence award is for you! In this award category, we want you to show how social impact measurement has helped you delivered better outcomes for your beneficiaries. We want to understand the techniques you use to undertake social impact measurement, and also how you have used this information to make decisions and improve your social outcomes. Is your end goal producing social measurement systems that help you, your organisation, or a broader network make better decisions? Have you finally managed to convince your peers, your managers, investors/donors and board that investing in social impact measurement is a good idea? Do you have a clear plan of action for your next steps? Then the Changemaker award is for you! In this award category, we want you to share your story. What problem are you passionate about solving? How did you go about convincing others social impact measurement was important? What have been your biggest challenges? How did you overcome them? Where are you now? What are the next steps? Do you believe that two-heads are better than one? Have you formed a strong working partnership with another group to help you pursue your social impact measurement objectives? Can you describe the benefits of your shared approach? Then the Collaboration award is for you! In this award category, we want you to share why collaboration was important for your project. Tell us what you have learnt from one other and how has this lead to improved social impact measurement. What social impact measurement techniques did you end up adopting and why? What decisions have you made as a result of undertaking social impact measurement? Still reading? Fantastic. We look forward to receiving your application! Applications close at 5pm on Friday, 31 August 2018.